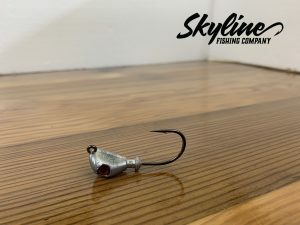 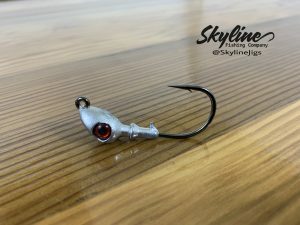 The Skyline DayBreaker 3D Big Eye Jig Heads offers a HUGE 3D eyes and a Premium 2X Strong Black Nickel Hook. 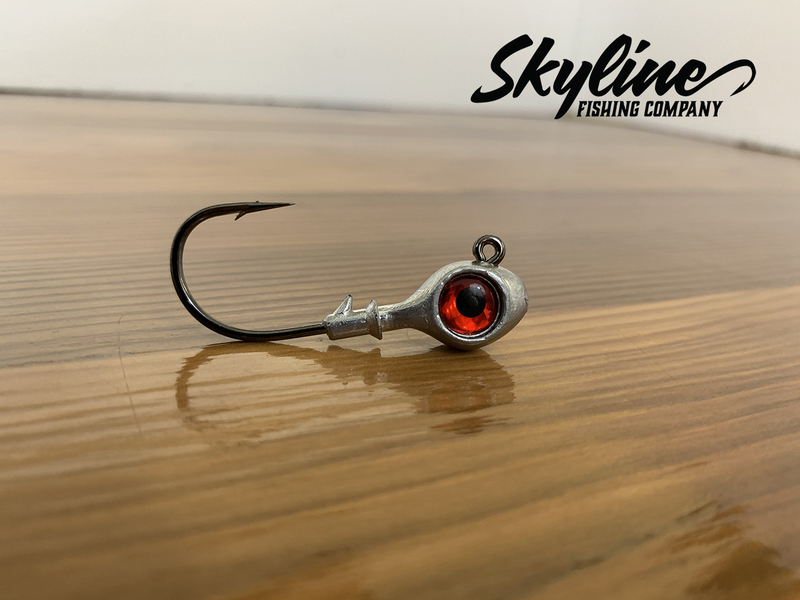 We designed this jig head to hold onto all types of soft plastics baits that are sold on the market. 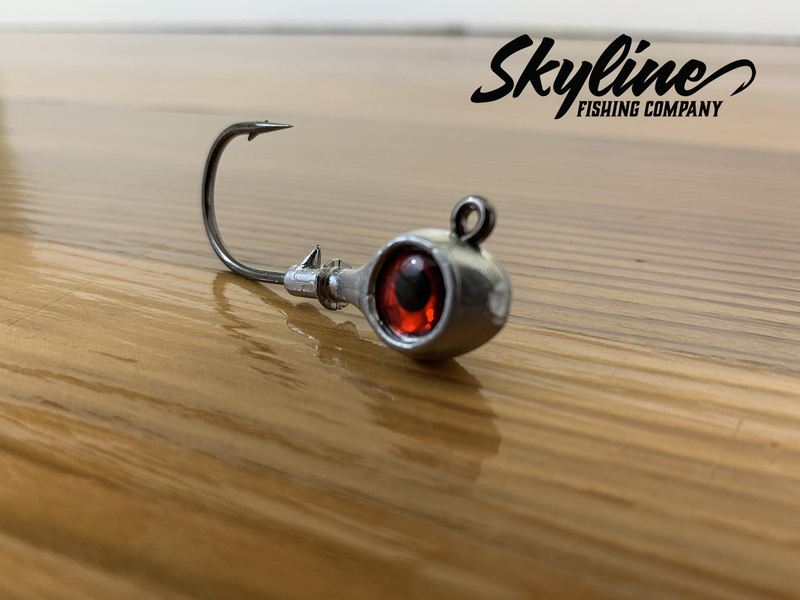 It offers a rib and small barb to secure your soft plastics preventing them from slipping off the shank of the hook. 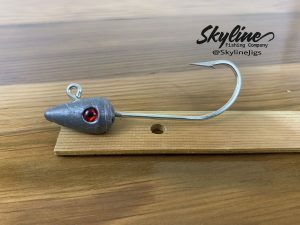 The Rib acts as a suction when applied to a soft plastic bait and the small barb hold it in place. 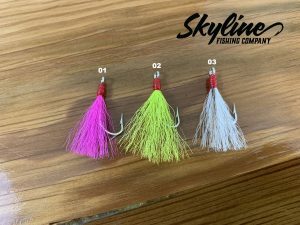 Available weights 1/8 oz, 3/16 oz, 1/4 oz, 5/16 oz, 3/8 oz, 1/2 oz, 3/4 oz, and 1 oz.